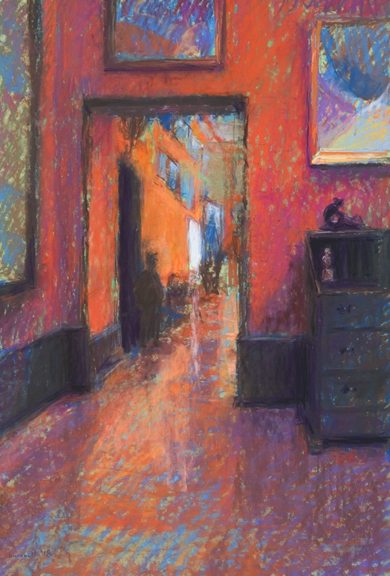 "SOFT GLOW, Long Vue New Orleans" 16"x12.5" pastel on sanded pastel paper.-SOLD. 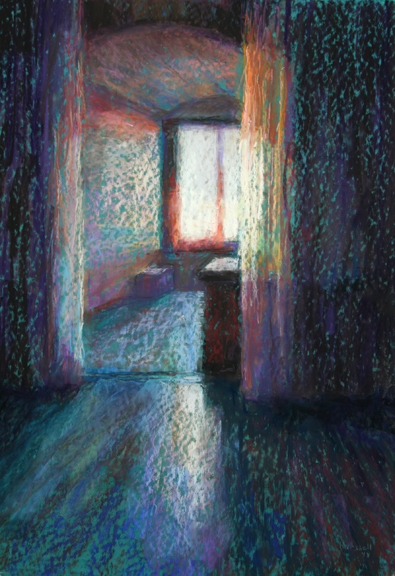 "ANGLED LIGHT 16" x10.5" pastel on sanded pastel paper. 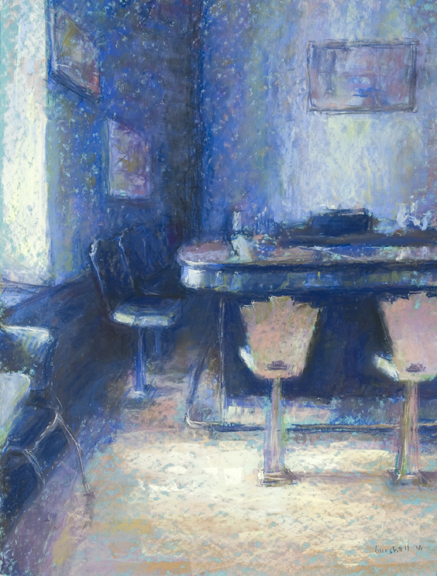 "RETRO, Messina's Runway cafe, New Orleans Lakefront Airport" 22"x16.5" pastel on sanded pastel paper. 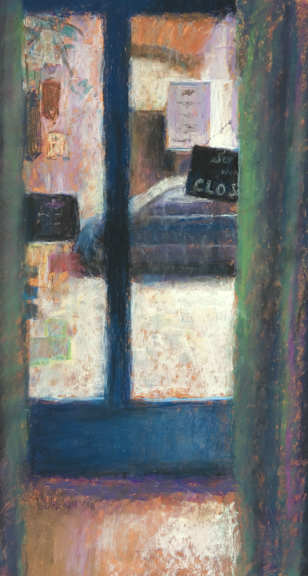 "CLOSED, Madrid" 21" x11" pastel on sanded pastel paper. 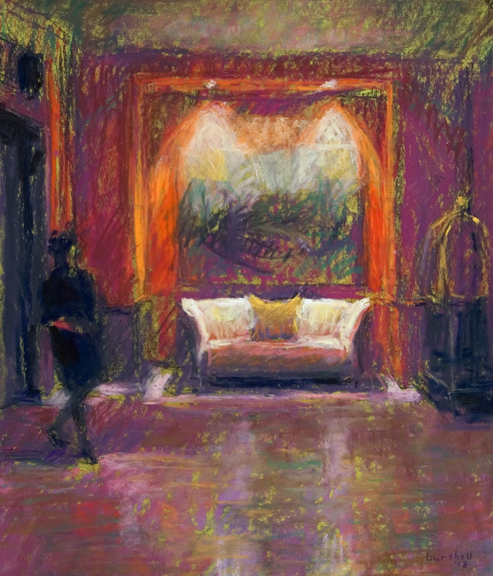 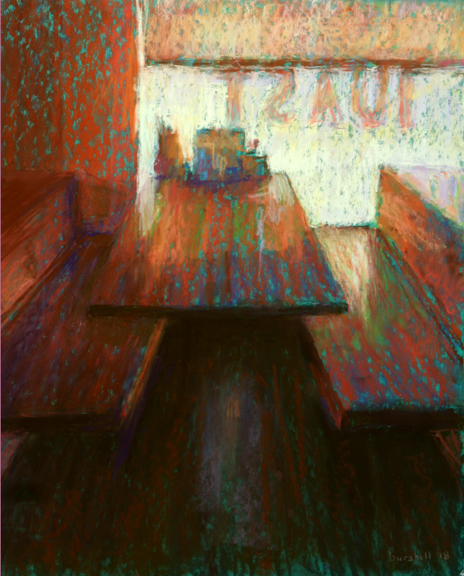 "CALM, Cafe Degas, NOLA" 29"x15.5" pastel on sanded pastel paper.-SOLD. 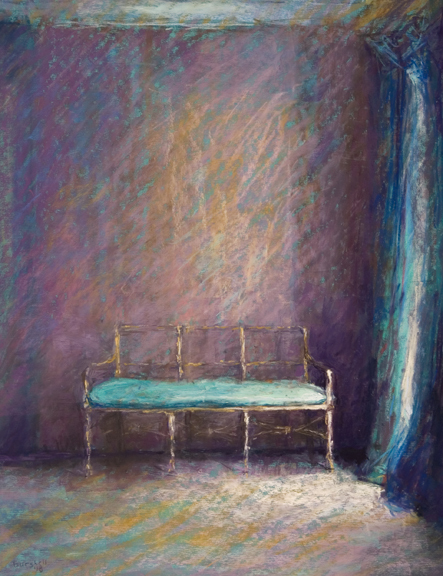 "SERENE, Long Vue New Orleans" "20"x15" pastel on sanded pastel paper. 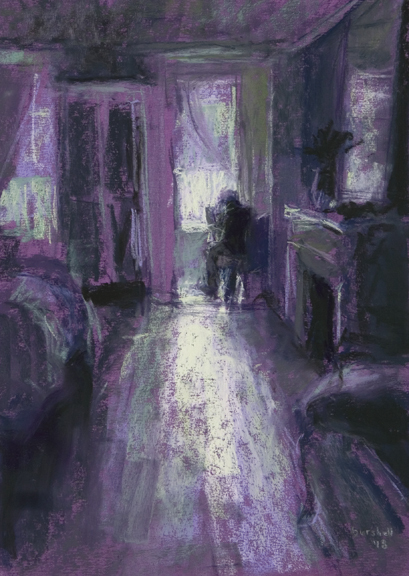 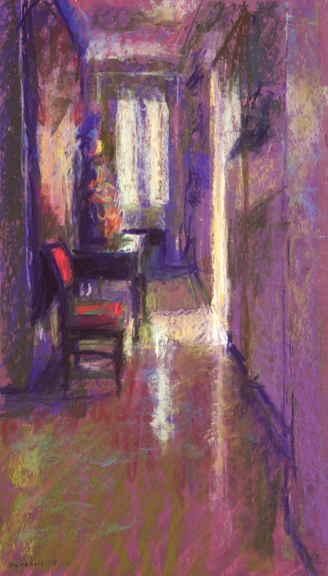 "NATURAL LIGHT, Vrabac Guesthouse, Barcelona" 12" X 9" pastel on sanded pastel paper. 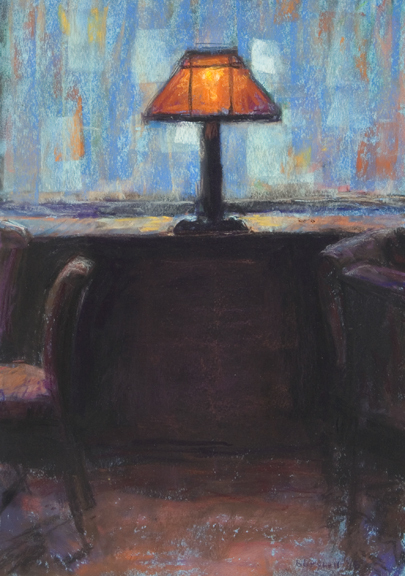 "IN A DIFFERENT LIGHT" 12"x 8.5" pastel on sanded pastel paper. 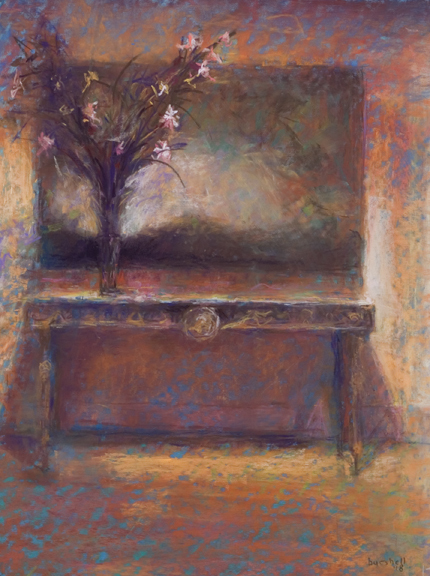 "GLORIIOUS SOROLLAS" 25.5" x17" pastel on sanded pastel paper.-SOLD. 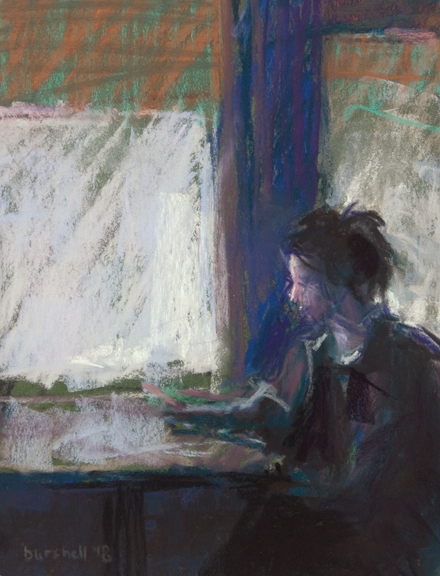 "ALONE" 26"x 12" pastel on sanded pastel paper. 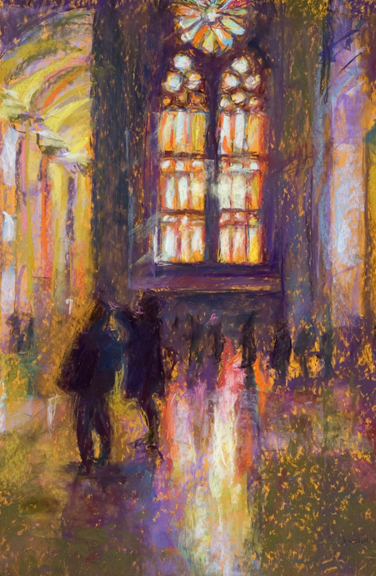 "AWE, Sagrada Familia, Barcelona" 26"x 17" pastel on sanded pastel paper.
" 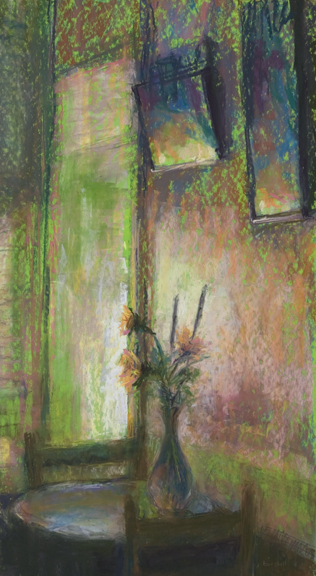 TOMORROW" 19.5"x14" pastel on sanded pastel paper.-SOLD. 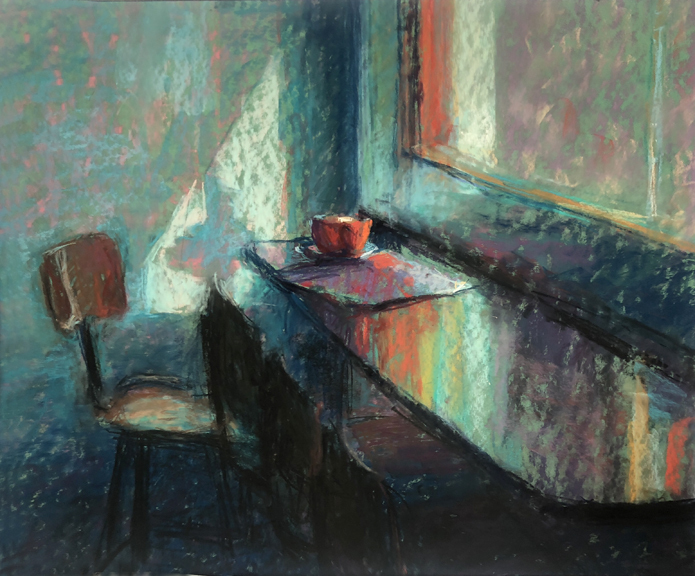 "ORANGE CUP" 18" x21" pastel on sanded pastel paper.-SOLD. 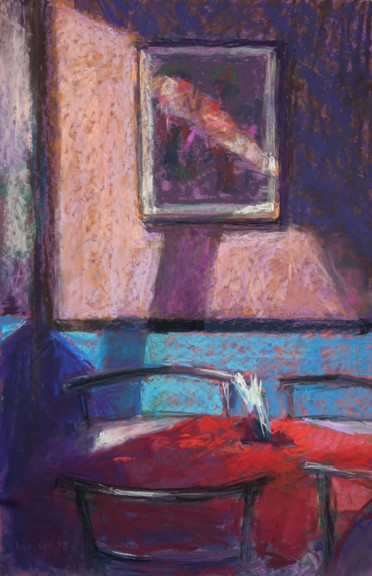 "HONDARRIBIAN LIGHT" 24" x16.5" pastel on sanded pastel paper. 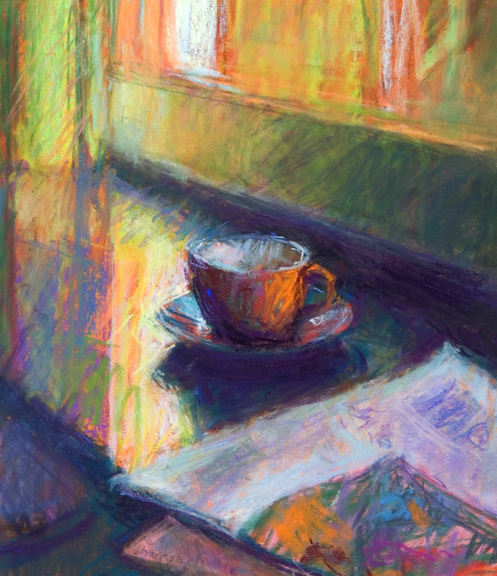 "AFTERNOON CUP" 8.5"x7" pastel on sanded pastel paper.-SOLD. 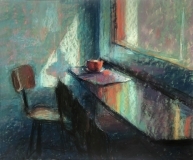 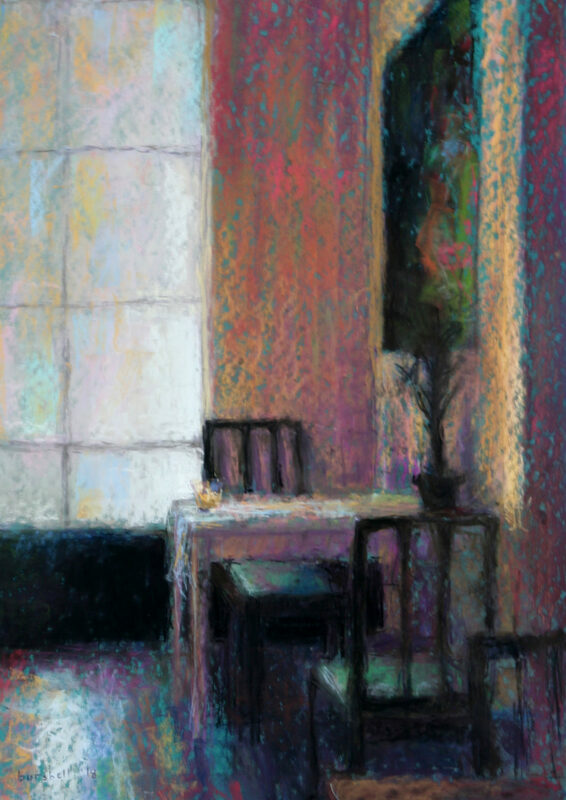 "A BOOTH BY THE WINDOW" 15.5"x13" pastel on sanded pastel paper. 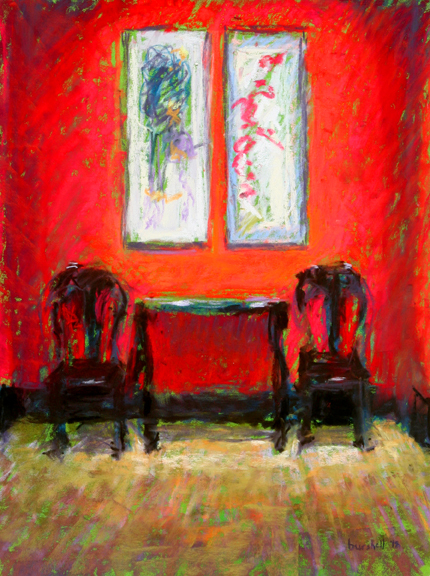 "RED" 15.5" x9.5" pastel on sanded pastel paper.-SOLD. 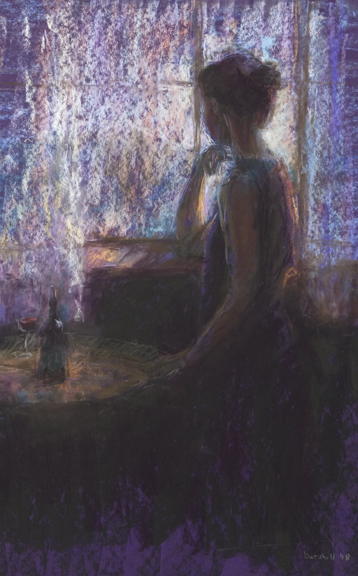 "OVERCAST" 7.5"x5.5" pastel on sanded pastel paper. 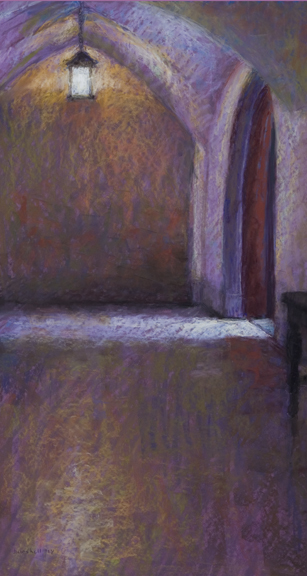 "BEACON OF LIGHT" 29" x15" pastel on Sanded pastel paper.